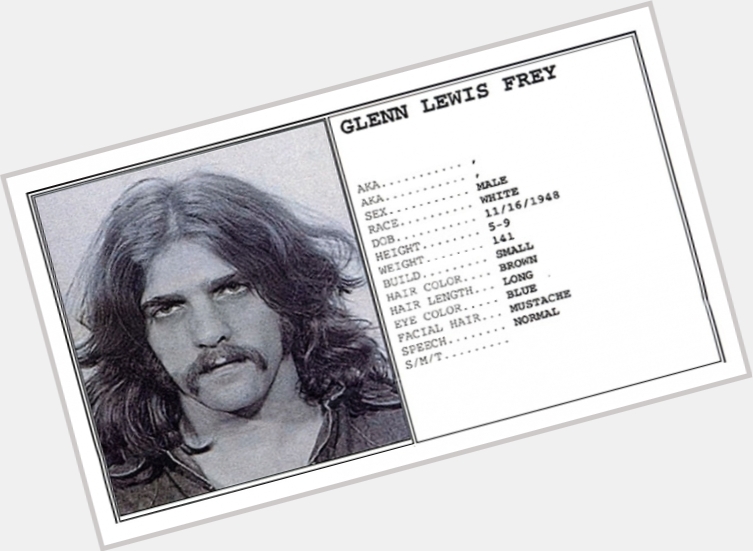 Glenn Lewis Frey was born in Detroit, Michigan. Growing up in Royal Oak, Michigan, he studied piano at 5, later switched to guitar and became part of the mid-1960s Detroit rock scene. One of his earliest bands was called the Subterraneans, named after Jack Kerouac's novel, and included fellow Dondero High School Class of '66 students Doug Edwards (later replaced by Lenny Mintz) on drums, Doug Gunsch and Bill Barnes on guitar and Jeff Hodge on bass. After graduating from high school in 1966, Frey played for a while with the local band The Four of Us, modeled after The Byrds. In 1967 he formed the Mushrooms with Jeff Burrows, Bill Barnes, Doug Gunch and Larry Mintz. The group scored a coup in getting Bob Seger to write their first single and made television appearances to promote it. In the later part of 1967, Frey pulled together another band called Heavy Metal Kids with Steve Burrows (piano), Jeff Alborell (bass), Paul Kelcourse (lead guitar) and Lance Dickerson (drums). 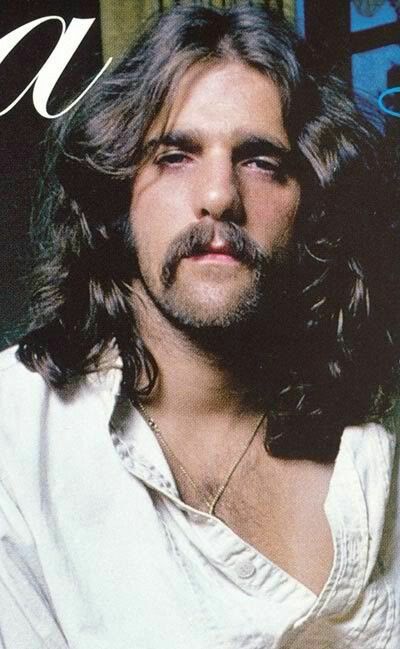 His first professional recording experience, at age 19, was performing acoustic guitar and background vocals on Bob Seger's single, "Ramblin' Gamblin' Man" in 1968. Frey has said that Seger strongly encouraged and influenced him to focus on writing original songs. They remained good friends and occasional songwriting partners in later years. Frey then moved to Los Angeles to follow his then-girlfriend, Joan Sliwin, who was an aspiring singer. He was introduced to J. D. Souther by her sister, Alexandra Sliwin of Honey Ltd., a friend from his Detroit days and Souther's girlfriend at the time. Frey debuted as a recorded songwriter while fronting Longbranch Pennywhistle, a duo with Souther, in 1969. Frey wrote the songs "Run, Boy, Run" and "Rebecca" and co-wrote "Bring Back Funky Women" with Souther for the album Longbranch Pennywhistle. Frey also met Jackson Browne during this period. The three musicians lived in the same apartment building for a short time, and Frey later said that he learned a lot about songwriting from hearing Browne work on songs in the apartment below. Frey met drummer Don Henley in 1970. When Linda Ronstadt needed a backup band for a single gig, she hired Frey, Henley, Randy Meisner, and Bernie Leadon on the advice of her boyfriend, J.D. Souther. Frey and Henley later joined Ronstadt's backup band for her 1971 summer tour. Afterwards, Frey, Henley, Meisner and Leadon formed the Eagles, with Frey playing guitar and keyboards and Henley playing drums. The band went on to become one of the world's best-selling bands of all time. Frey wrote or co-wrote (often with Henley) many of the group's songs, and sang the lead vocals on a number of Eagles hits including "Take It Easy", "Peaceful Easy Feeling", "Already Gone", "Tequila Sunrise", "Lyin' Eyes", "New Kid in Town", "Heartache Tonight", and "How Long". 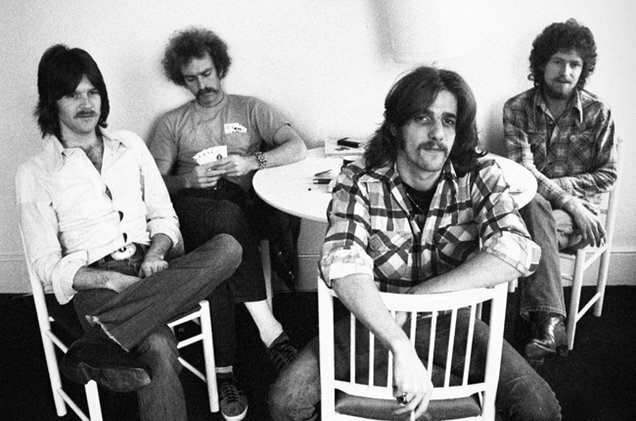 The Eagles broke up around 1980 and reunited in 1994, when they released a new album titled Hell Freezes Over. The album had live tracks and four new songs. The Hell Freezes Over Tour followed. In 2012 on The Tavis Smiley Show, Frey told Smiley, "When the Eagles broke up, people used to ask me and Don, 'When are the Eagles getting back together?' We used to answer, 'When Hell freezes over.' We thought it was a pretty good joke. People have the misconception that we were fighting a lot. It is not true. We had a lot of fun. We had a lot more fun than I think people realize." At their first live concert of 1994, Frey told the crowd, "For the record, we never broke up. We just took a 14-year vacation." The Eagles' album Long Road out of Eden was released in 2007, and Frey participated in the Eagles' The Long Road out of Eden Tour (2008–2011). In 2013, the two-part documentary History of the Eagles, directed by Alison Ellwood and co-produced by Academy Award winner Alex Gibney, was aired on Showtime. The documentary won an Emmy Award in 2013 for Outstanding Sound Mixing For Nonfiction Programming. After the Eagles disbanded, Frey achieved solo success in the 1980s, especially with two No. 2 hits. In 1984, he recorded in collaboration with Harold Faltermeyer the worldwide hit, "The Heat Is On", the main theme from the Eddie Murphy's action comedy film Beverly Hills Cop; then, Frey performed "You Belong to the City" (from the television series Miami Vice, the soundtrack of which stayed on top of the U.S. album charts for 11 weeks in 1985). His other contribution to the soundtrack, "Smuggler's Blues", hit No. 12 on the Billboard Hot 100. Frey also contributed the song "Flip City" to the Ghostbusters II soundtrack, and "Part of Me, Part of You" to the soundtrack for Thelma & Louise. During his solo career, Frey had 12 charting songs in the U.S. Top 100. 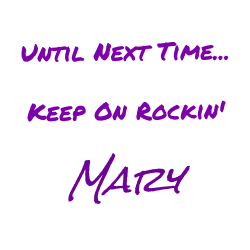 Eleven of those were written with Jack Tempchin who also wrote "Peaceful Easy Feeling". In the late 1990s, Frey founded a record company, Mission Records, with attorney Peter Lopez. Frey never released any of his own work on the label and the company has since disbanded. On May 8, 2012, he released his first solo album in 20 years, After Hours, featuring covers of pop standards from the 1940s to the 1960s. 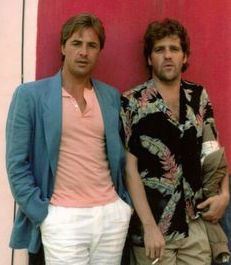 As a television actor, Frey guest starred on Miami Vice in the first season episode "Smuggler's Blues", inspired by his hit song of the same name, and had a starring role in the "Dead Dog Arc" of Wiseguy. He was also the star of South of Sunset, which was canceled after one episode. In the late 1990s, he guest-starred on Nash Bridges as a policeman whose teenage daughter had run amok and gone on a crime spree with her sociopathic boyfriend. In 2002, he appeared on HBO's Arli$$, playing a political candidate who double-crosses Arliss and must pay a high price for it. Frey's first foray into film was his starring role in Let's Get Harry, a 1986 film about a group of plumbers who travel to Colombia to rescue a friend from a drug lord. Frey's next film appearance was a smaller role in Cameron Crowe's third film, Jerry Maguire. 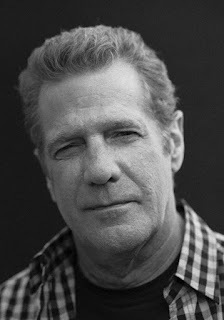 Frey played the frugal general manager of the Arizona Cardinals football team who, in the film's climax, finally agrees to pay Cuba Gooding, Jr.'s character, wide receiver Rod Tidwell, a large professional contract. On January 18, 2016, Frey died at the age of 67 in New York City of complications from rheumatoid arthritis, acute ulcerative colitis, and pneumonia while recovering from intestinal surgery. A tribute at the band's official website read, "Words can neither describe our sorrow, nor our love and respect for all that he has given to us, his family, the music community and millions of fans worldwide."